Over the last few weeks – between a myriad of other assignments - I’ve been watching the deliciously camp confection that is Feud, the eight-part soap opera by the team behind American Horror Story. Depicting in delicious detail the animosity – nay, outright hatred – between legendary screen actresses Joan Crawford and Bette Davis, Feud is a delight, and I highly recommend it to you. I’ve always loved Bette Davis: Now Voyager is an all-time favourite and, of course, Whatever Happened to Baby Jane?, the only film that Crawford and Davis made together (sadly Joan walked of the set of Hush Hush… Sweet Charlotte, which would have seen the two old broads battling each other again, to be replaced by the marvellous Olivia de Havilland) is an over-the-top gothic great. Yet as much as I love her acting, and have a fair old bit of respect for her as a person, I hadn’t really thought too much about her singing abilities… until now. 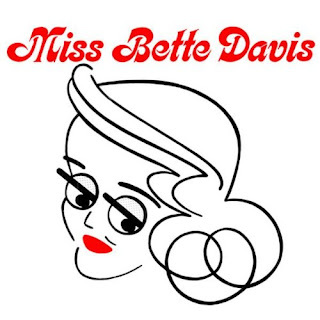 Bette, born Ruth Elizabeth Davis in April 1908, is probably better known for being name checked in other peoples’ records than for making her own (Bette Davis Eyes, by Kim Carnes for example, although she also gets mentioned in Dylan’s Desolation Row and Madonna’s Vogue), yet record she did. Whatever Happened to Baby Jane? Spawned the tie in single of the same title, which pitted Bette against singer Debbie Boone (who supplied the voice for the young Jane and sang I’ve Written a Letter to Daddy in the film). Bette only appears on the a-side, and her spoken word section is thoroughly monstrous. She would later perform the song solo on the Andy Williams TV show, a clip readily available on YouTube and re-enacted quite brilliantly by Susan Sarandon in Feud. Bette also appeared on a couple of Broadway cast albums and, in 1965 issued a further brace of singles, the aptly-titled Single (which she also performed on TV and that you can also find on YouTube) and Mother of the Bride. Neither sold. Then, in 1976, whilst working in England, she recorded an album. Released by EMI, Miss Bette Davis is a horror of a record. Backed by the Mike Sammes Singers (who would also back Barbara Cartland on the atrocious Album of Love Songs) the album includes re-recordings of many of ‘songs’ associated with the great lady, including I’ve Written a Letter to Daddy and Hush Hush… Sweet Charlotte. It is ghastly, and you’re going to love it! Labels: Barbara Cartland, Bette Davis, Bob Dylan, Joan Crawford, Madonna, Miss Bette Davis, Whatever Happened to Baby Jane? Easily one of the most peculiar albums issued is the 1962 release Strip Along With Us – ten tracks recorded by a nightclub quartet of music to take your clothes off to. Well, probably not your clothes, but the clothes worn by ‘the lovely Darlene’, ‘the lovely Devin Saint John’ or any other third rate burlesque artist you care to name. Subtitled Authentic Strip Music for the Discriminating Stripper, the hoots, whoops and whistles from the studio audience were clearly added to give the album a 'sleazy joint' sound, yet the entire album was recorded not on location (the Club Sina, as the anonymous announcer claims) but at the Jaysina Sound Studios in Brooklyn, run by Morty Jay and Sandy Sina. Jay was an organist, arranger and conductor who had also worked with vocal quartet the Crew-Cuts; Sina (real name Santo Nessina) was an engineer who specialised in the Latin American market. Strip Along With Us was issued by Strand Records, who also issued Jay’s solo album Organ Favorites. Morty is probably best known for the tittyshaker/surf instrumental Saltwater Taffy, although both men were invloved in breaking JFK impersonator Larry Foster, co-writing and producing Foster's 1962 hit My Christmas Message to the World. The sleeve notes are a hoot: ‘the concept of this album is authenticity’, they proclaim. ‘This “on location” treatment puts the emphasis where it belongs – on the bumps and grinds.’ The author attests that the mistakes made by the band are intentional, included to accentuate that ‘authenticity’, although I would argue with his claim that ‘it’s been every woman’s hidden desire to try a strip routine, and every man’s hidden desire to watch one.’ As the sleeve announces, ‘the cover photo was used with permission of one of the country's foremost performers, Miss Libby Jones, The Park Avenue Playgirl’. Libby (real name Adlyn Morris) does not actually appear on the record itself, although one track, My Heart Belongs to Daddy does feature a vocal from a fake stripping chanteuse going under the guise of ‘the lovely Arlene Bartell’. The Strand label, which specialised in bargain bin dross, cheaper-than-cheap reissues and cash ins was only in existence for around six ears (1959-65); in 1960 they issued Sick Along With Us, an album of mental health-themed ‘humour’, and the rest of their output included recordings of hymns, easy listening jazz and exotica, a tribute to the late Clark Gable (Dear Mr. Gable, by Karen Chandler: the title song had originally been sung by Judy Garland) and, of course, the aforementioned Organ Favorites. Anyway, here’s the whole album for you, split over two files (side one and side two). Make of it what you will! The track at the end of side one, which purports to be Night Train, is hysterical. A song poem record today, originally posted by our good friend Bob Purse over at the no longer updated WFMU blog. I’m reposting this for a couple of reasons, firstly because you need to get a copy before the WFMU links stop working and secondly because I’m off on a road trip myself this weekend and the subject matter seemed apt. 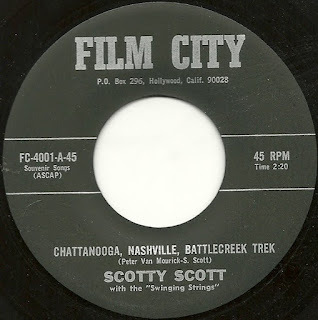 This particular disc, Scotty Scott’s Chattanooga, Nashville, Battlecreek Trek backed with the amazingly awful Antique Hunter’s Craze was issued by the Film City label at some point in the (I would guess) mid to late 60s. Film City was formed by Sandy Stanton, the guitarist, bandleader and erstwhile record company mogul who had already founded one other company - Fable – and who would go on to launch several others, including J-Rad, Opossum and Wesley. Rodd Keith was Stanton’s first star performer, and when he moved on to Preview he replaced Rodd at the Chamberlin with Ron Solovay (a.k.a. Leigh Crizoe, read here) and then Frank Perry. The keyboard work on this particular disc is rather stilted, which makes me think it’s unlikely to be either Rodd or Frank, who were both more stylish and ‘bouncy’; it could be Ron Solovay, but it’s more likely to be Sandy Stanton himself. Like all the best (or worst) song-poem records little attention has been paid to detail. The rhyming couplets are awful, the lyrics have been awkwardly shoehorned in to fit the music and no one, not even our Scotty, can be arsed. Heaven. Antique Hunter’s Craze reminds me of Singin’ Jack Curran’s The Barber Shop, from song-poem/vanity record maven Dolly O Curran (featured almost exactly six years ago on this very blog and reposted below). Dolly O Stech-Curran began her song-poem career sending in lyrics to Preview: Suzie and Rodd, a.k.a. Rodd Keith and Suzie Smith recorded one of her songs, I’m the Wife. Scotty Scott issued at least one other 45, A Friendly Smile backed with I’m Crying Again, which seems to have been the debut release from the tiny Chime Records of Hempstead, New York. Both sides of that single were written by Will Wheeler and one J. Gardener: the same pair of songsmiths composed several of the tracks issued by Chime, and Wheeler also produced many of the singles issued by the company, including Groovin’ is Easy by Paper Cup (CH 111) and Homer Briarhopper’s My Happy Clown (CH 107). Chime also issued the rather groovy garage classic Mr. Zeppelin Man by Nick D’Angelo’s Farmers. Guitarist, songwriter and singer Nick now goes by the name of Nirantara Däsa and devotes his life to spreading the teachings of His Divine Grace A.C. Bhaktivedanta Swami Prabhupada. Do You Want to Lick Me? Paris-based Phil O’Kings, or Phill O’Kings or perhaps even Phil O’Kins (he was credited with a different spelling on each of his 45s) released a handful of Eurodisco singles in France in the mid 80s. He also appeared, as part of a conglomeration of 75 French stars, on the charity single Liban (Lebanon), issued in 1988. From what I’ve been able to glean there were three singles, each issued on a different label: Good Time Break (released around 1984 and clearly influenced by the breakdancing craze), the 1989 release Chasseur du Charme, and the truly terrible Homo Gay issued in 1985, the 12” mix of which features almost six minutes of Monsieur O’Kings’ out of tune caterwauling. The lyrics of Homo Gay make no sense in either language, but the first verse seems to be about our Phil’s obsession with a cute English boy with wavy blond hair and a penchant for wearing tweed. In verse two Phil sings about an androgynous-looking person with skin like black plastic. 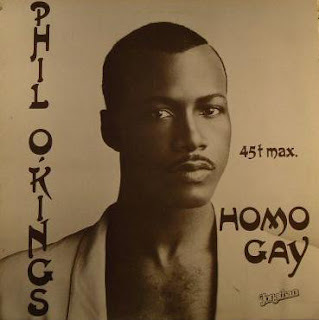 My assumption is that it’s this section that inspired the sleeve designer/photographer to take an image of Phil doing his best Grace Jones impersonation. Luckily the chorus is pretty self-explanatory. And how did I discover this nonsense, you ask? Well, for the last 10 months or so I have been writing about the history of LGBT music and musicians for a book, due to be issued this November, entitled David Bowie Made me Gay. Those of you who follow this blog via Facebook will probably know that I recently held a workshop on homophobia in music and it was through a discussion on what tracks to use that we found this gem. During my research I’ve uncovered some of the most peculiar records I’ve ever heard – some of which I’m going to share with you, you lucky people! 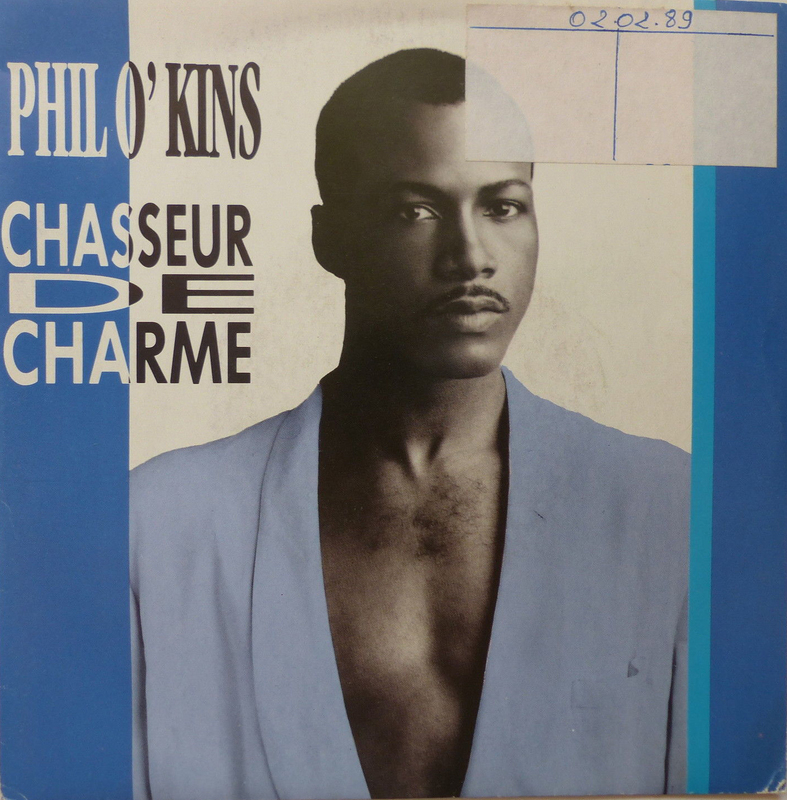 As each of Phil’s singles features just one song (all other tracks are either remix or instrumental versions of the title track) I’ve included both Good Time Break and Chasseur du Charme as well as the execrable Homo Gay.